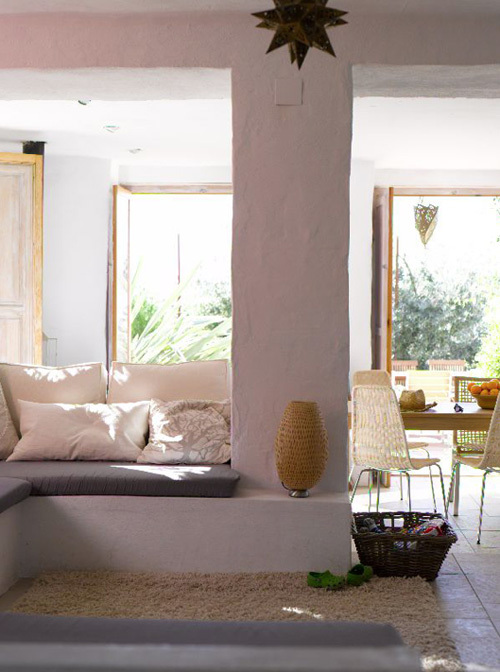 This converted rural farmhouse in Granada, Spain is designed for social living. This is the summer home of Es and Jack and their daughter Ry. 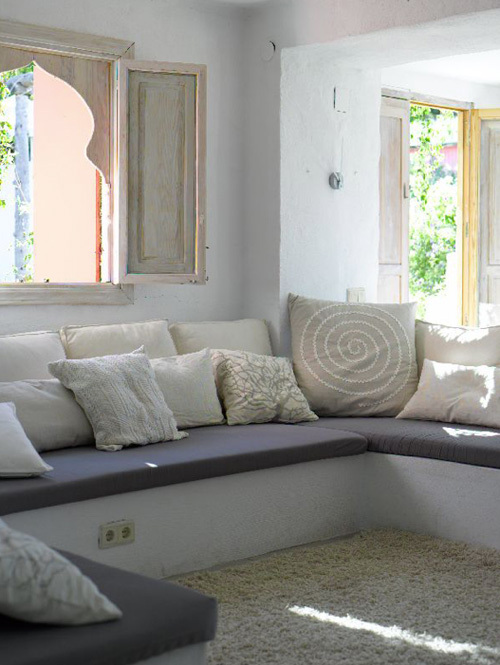 The style of this family home can be best described as simple, whitewashed, local style with Moorish lights and doorways. The family’s goal was to create an inviting home where they could spend endless days relaxing with family and friends. An open home with cosy textiles, relaxed banquette seating and ‘help yourself’ kitchen storage makes friends feel welcome. 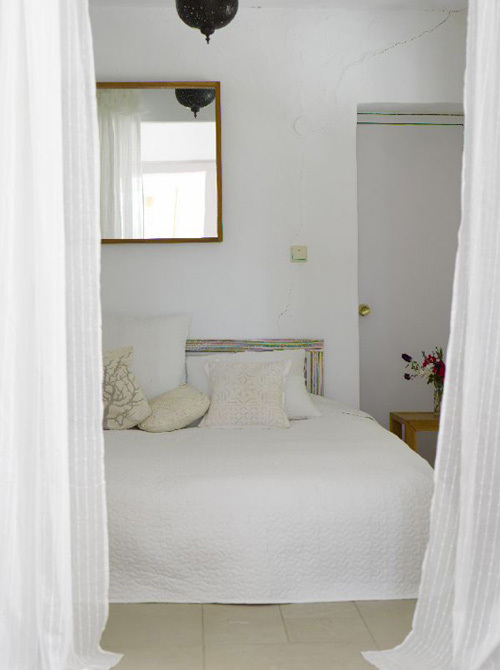 Looks cosy and light. I like! I believe that your you want to say Granada, in Spain. I love the exposed beams in the bedroom this is truel an amazing house. Was the conversion expensive? Thanks Mimi for letting me know! I have made the corrections.